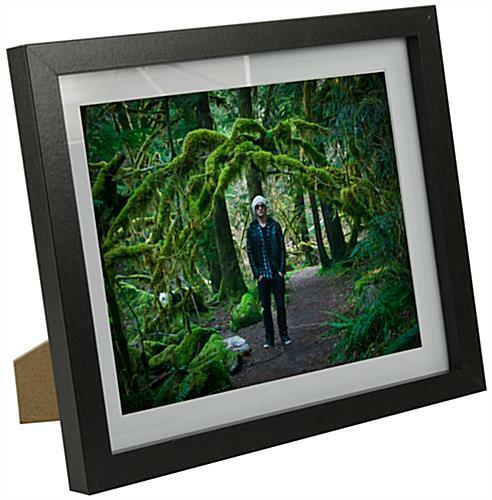 These 8x10 black photo frames are great for displaying art prints and photographs. 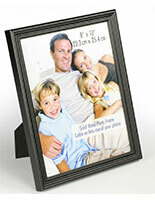 Each picture holder has rear access for easy insert replacement. 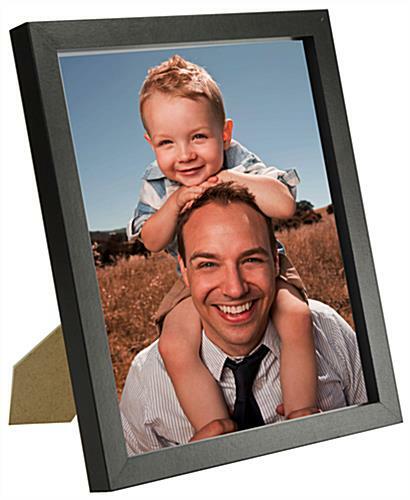 The black photo frames are made of durable materials and have an acrylic front lens and white finish mat that is removable to accommodate larger pictures. 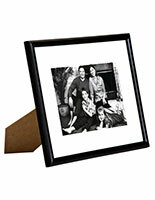 Each display fixture includes rear metal hooks for wall mounting as well as an easel stand for sitting on countertops. 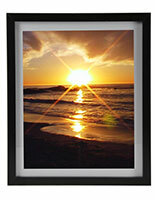 The wood frames can be displayed or mounted in either horizontal or vertical orientation, accommodating any picture. 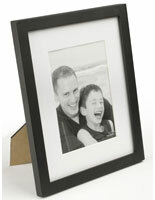 The neutral finish enclosures include a protective acrylic faceplate for protecting art and photographs. 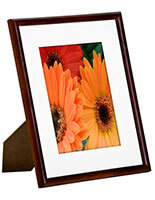 11.0" x 13.0" x 1.0"
These frames are good solid quality and easy to use. 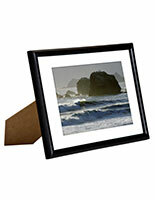 Be sure to wash the glass well before putting your picture/art/document in them. The glass was very dirty.